Warrant Officer Honor Girard made the worst mistake of her life in walking away from the man she promised to marry—and she knows it. 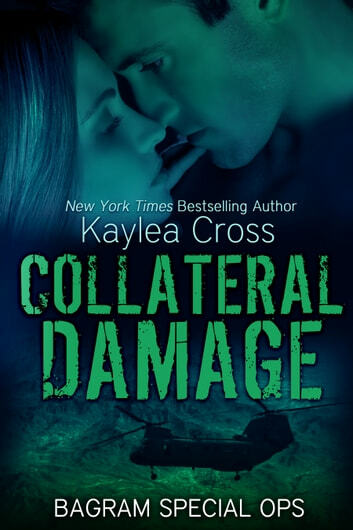 An attack on base unexpectedly pushes them together and in the aftermath she realizes she can’t let him go a second time. Only he’s not willing to let her back in. After orders send her back stateside she realizes she’s probably lost him forever. It will take either a miracle to bring them back together—or a life-altering tragedy. Only forgiveness can bring them back together. Major Liam Magrath lives his life on the edge, flying dangerous missions with the Army’s elite Night Stalkers. Since losing Honor he’s been totally focused on his career, his missions and the welfare of his crew. Then she’s suddenly thrust back into his life and tells him the last thing he expects to hear: she wants another chance. Losing her once was hard enough—giving her another shot isn’t an option. He’s determined to keep his heart walled off from the only woman he’s ever loved, until a catastrophic terrorist attack on American soil changes everything. Now that he’s finally made up his mind to go after her, however, it may be too late. Liam is determined to fight for her at all costs—but first they’ll have to fight for their lives in a disastrous attack that hits far too close to home. I love this book, this series. I am sad that this is the end! I read it in 2 days. I have loved every Kaylea Cross book that I have read.